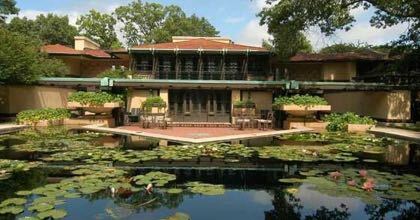 Chicago and its surrounding ‘burbs: Frank Lloyd Wright country. We don’t have the words to adequately extol his legacy. But pictures? We’ve got plenty of those. Take a covetous sneak peek at the Wright Plus Architectural Housewalk, an in-person guided look-see at the gorgeous homes designed and inspired by Frank, tickets on sale now. Wright’s prairie-style philosophy: free-flowing open floor plans. Horizontal lines. Indoor/outdoor integration. Cantilevered roofs. Clerestory windows. He preached. Others listened. Now you take pictures. And more. Like Wright’s Home and Studio and the mecca of all meccas, Unity Temple. It all takes place next month. We suggest you grab those tickets. Because direct your gaze outside. Nice day for a walk, don’t you think?